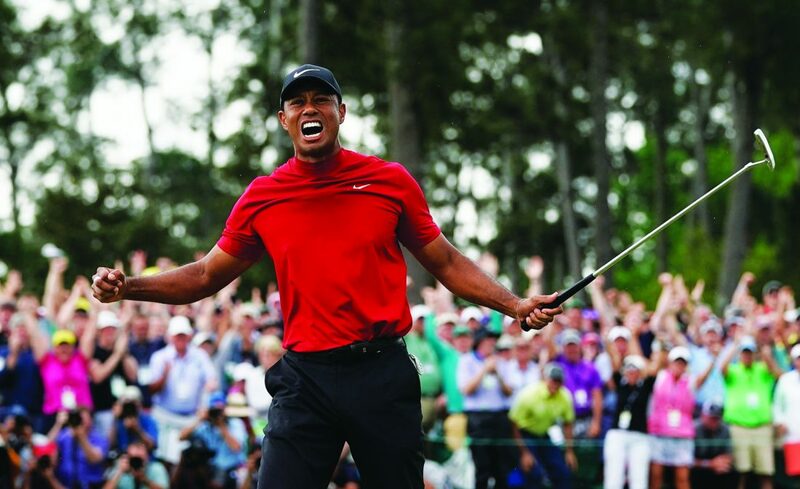 AP photo Tiger Woods reacts as he wins the Masters golf tournament Sunday in Augusta, Ga.
“I wasn’t going to let that happen to them twice,” he said. And then it seemed as though practically everyone had a chance. Six players had a share of the lead at some point on the back. With the final group still in the 15th fairway, there was a five-way tie for the lead. And that’s when Woods seized control, again with plenty of help. “You want to play against the best to ever play,” Koepka said.